From Markell Johnson's tough three-pointers to C.J. 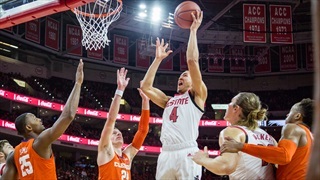 Bryce's big-time block, here is your chance to catch all the highlights from NC State's win over Clemson courtesy of the ACC Digital Network. 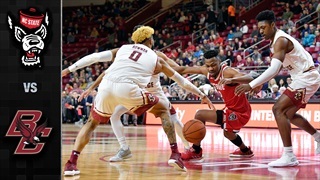 Here is a collection of highlights from NC State's 73-47 road win at Boston College. 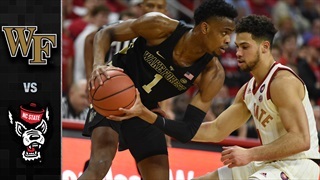 Here is a collection of highlights from NC State's 94-74 home win against Wake Forest courtesy of the ACC Digital Network. 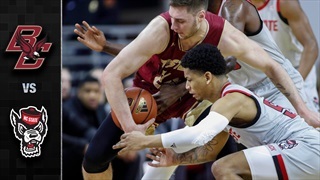 Here is a collection of highlights from NC State's 89-80 overtime win against Boston College courtesy of the ACC Digital Network. 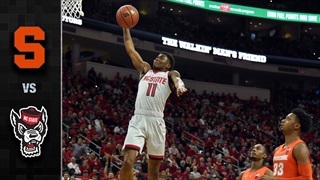 Here is a collection of highlights from NC State's 73-58 home win over Pittsburgh courtesy of the ACC Digital Network. 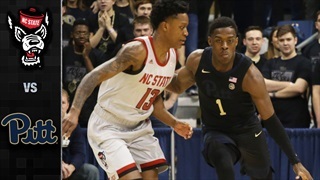 Here is a collection of highlights from NC State's 79-76 road win at Pittsburgh courtesy of the ACC Digital Network. Here is a collection of highlights from No. 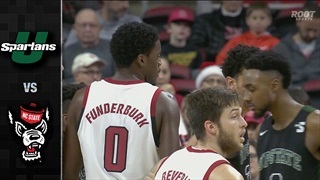 21 NC State's 69-67 win over Clemson courtesy of the ACC Digital Network. Here is a collection of highlights from No. 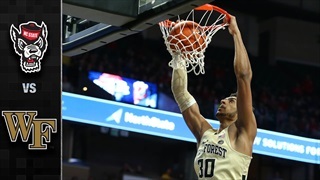 17 NC State's loss at Wake Forest courtesy of the ACC Digital Network. Here is a collection of highlights from No. 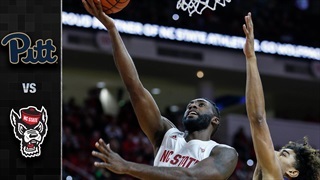 15 NC State's 86-80 win over Pittsburgh courtesy of the ACC Digital Network. Here is a collection of highlights from No. 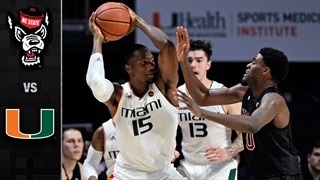 18 NC State's 87-82 win over Miami courtesy of the ACC Digital Network. Here is a collection of highlights from NC State's 98-71 win over USC Upstate courtesy of the ACC Digital Network. Here is a collection of highlights from NC State's 89-78 win over Penn State courtesy of the ACC Digital Network. 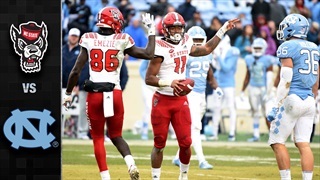 Here is a collection of highlights from NC State's 34-28 overtime win over rival North Carolina courtesy of the ACC Digital Network. Here is a collection of highlights from NC State's 78-74 win over Mercer courtesy of the ACC Digital Network. 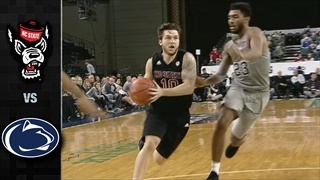 Check out these highlights from NC State's 85-57 win over Saint Peter's courtesy of the ACC Digital Network. 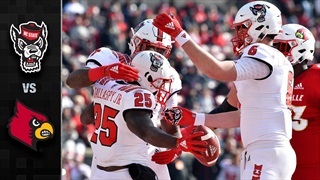 Check out these highlights from NC State's 52-10 road win at Louisville courtesy of the ACC Digital Network. 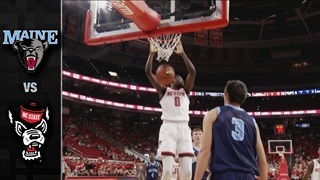 Check out these highlights from NC State's 82-63 win over Maine courtesy of the ACC Digital Network. 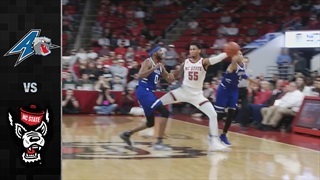 Here is a collection of highlights from NC State's 100-49 win over UNC Asheville courtesy of the ACC Digital Network.